I spent a day sitting on the beach at Gold Harbour, in the rain, being harassed by marauding sheathbills who not only ran off with sundry items of painting equipment but who also succeeded in collapsing my makeshift rain shelter by pulling out the tent pegs. 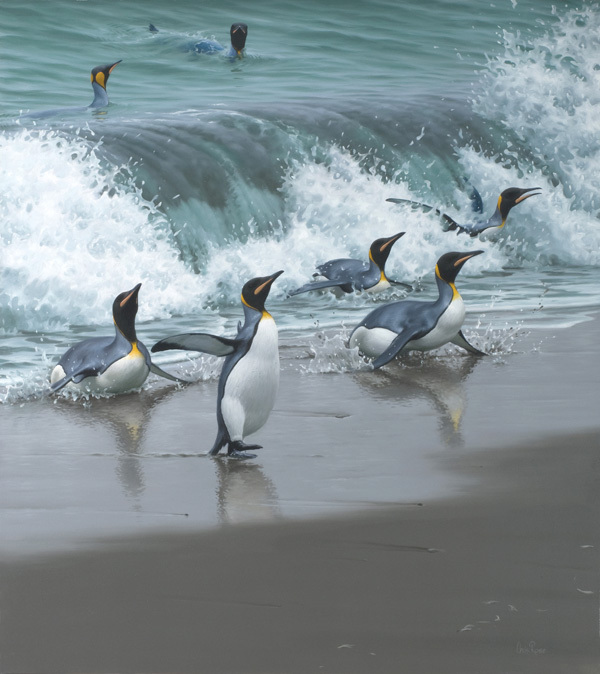 Despite these difficulties I was able to complete a rudimentary field-painting of the crashing surf and make some sketches of these king penguins coming ashore. With legs set as far back on their long bodies as it’s possible to get they struggle to stand upright after slithering head-first on to the sand through the boiling foam. 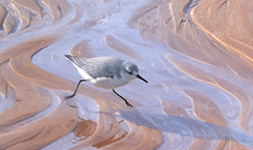 It’s a race against time before the next incoming wave knocks them off their feet. 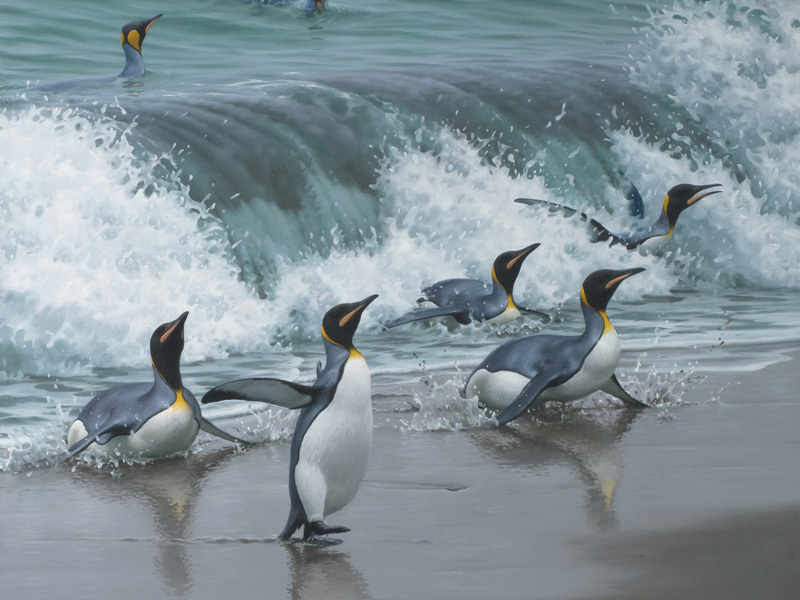 By kicking furiously with their feet and pushing down with flippers and occasionally beaks, they totter to an upright position and march up the beach to a safe position beyond the surging waves.